According to a source in the Russian defense industry, Indonesia plans to buy four Beriev Be-200 amphibious planes from Russia. “They are currently finalizing talks to agree on the terms and conditions in the contract,” the source told RIA Novosti. 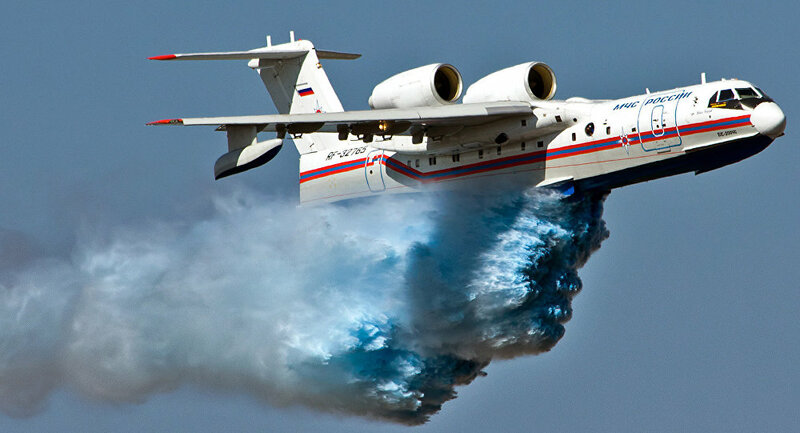 The Be-200 is a unique Russian amphibious aircraft that is well-suited for firefighting missions. It can land on water and scoop up thousands of gallons of water into its hull and then drop its load onto a fire. The plane can be reconfigured for search-and-rescue or passenger flying. Indonesian Air Forces’ Chief of Staff Agus Supriatna announced last November that Jakarta wanted to add Russian amphibious planes to its air fleet.